Hello lovelies, so valentines is soon approaching... It's obviously a big ploy to spend more money on chocolate, cards, gifts etc but I'm not complaining who doesn't love receiving flowers and chocolates? But we should show our appreciation every day that we love our partners. Dan tells me he loves me every morning and kisses me on my head before he leaves for work and I tell him I love him every night before I fall asleep, that's important to me. A lot of people show there love in different ways, cooking tea, running baths, ringing to make sure they are safe etc. But it is nice to have one day out of the year to really spoil your other half like Christmas all over again, well not as extreme unless you have more money than sense aha. But for all you singletons don't feel left out get slammed up and give your best friend a card/gift they will appreciate the love! 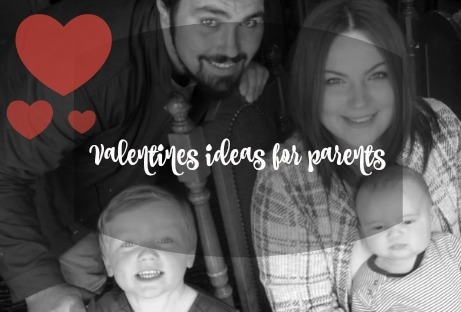 Today I thought I would just show some ideas how you could celebrate valentines as parents. 1. Movie night in - We do this often to be honest so probably won't be on the top of my list but we get microwave popcorn, choose our favourite films or find something new and snuggle on the sofa, the kids are in bed so no need for a babysitter. 2. Picnic in the back garden - Obviously only best if you have a chiminea or something close to it to keep you warm or wrap up well! Light some candles outside, could even get some fireworks! Could even use disposable barbecue to warm you up and drink alcohol that will keep you cosy inside. 4. 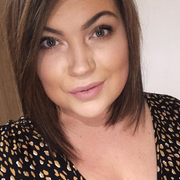 Lunch with the family - If your a family stuck on childminders why not celebrate together and have a romantic lunch out together. 5. Spa night - My favourite option, I try to pamper Dan at least once a month but have one night to pamper each other, get the face masks out, run a nice hot bubble bath and get the massage oil out! 6. Hand make them something - They will appreciate the time and effort you have put into it, one year Dan made me a wooden book because he's a self employed carpenter and he changed the words in the "The princess and the frog" to my name and his, it was so sweet and I though how thoughtful. 7. Cook - If you don't usually cook for your partner then surprise them, failing that order a take away and pretend you cooked it! 8. Breakfast in bed - Why not one of you make breakfast in bed and offer the other one a lie in whilst you sort the kids breakfast and theirs, I think this will be the most appreciated one, especially if I am the one in bed aha. 9. Make a romantic scavenger hunt - I am definitely doing this this year, it sounds so fun! Leaving little clues around the house then the last one leading to the bedroom *wink wink*. 10. Help around the house - If you usually do nothing around the house then help out, come on it's just for one day. Romance doesn't die when you have children you just have to appreciate one another and tell each other how much you love them, use what you can/have to show that love this valentines, I hope you all have a great day/night with your partners. Any ideas from your side?? ?